A child's life is changed forever when her or his parents make the decision to divorce. Even the most amicable split creates enormous stress on the family unit. It's important that during this time you and your spouse remember your child's needs come first. Steps should be taken to ensure that your child has every resource available to him or her to help them cope. The separation period and life after the divorce is finalized is a challenging time for your child. In addition to the emotional stress brought on by witnessing the loss of love, children must adapt to going back and forth between two households. This means adjusting to the daily absence of the one parent who they are not currently with. Familiar family dynamics, even if they contained conflict, are lost, and this can create great anxiety for your child. Your child will have many concerns and may have unexpressed fears about what will happen now. Questions like "who will take care of me?" and "what is going to happen next" may cause sleep and behavior problems. There is one extremely damaging behavior you will want to work hard to avoid, and that is parental alienation. The term refers to behaving in ways that attempt to pit a child against the other parent. While there are instances, such as abuse, where it's important the child has no contact with the abusive parent, many cases of parental alienation happen due to the divorcing couple's own anger and fears. Examples range from withholding visitation, casual negative comments about the other parent in front of the child, and monitoring the child's phone calls. If you attempt to alienate your child from their other parent, it can have serious effects on her or him. It can lead to problems with impulse control, especially when your child gets older. Lack of impulse control is linked with violence, anger and substance abuse. Your child may also suffer from separation anxiety and may begin to develop phobias such as fear of going to school, or fear of abandonment. Your child may think, "One parent rejected me, what if this one does too?" These fears stem from the overwhelming fear that something may happen to the parent she is with, and the child will be left to fend for herself. 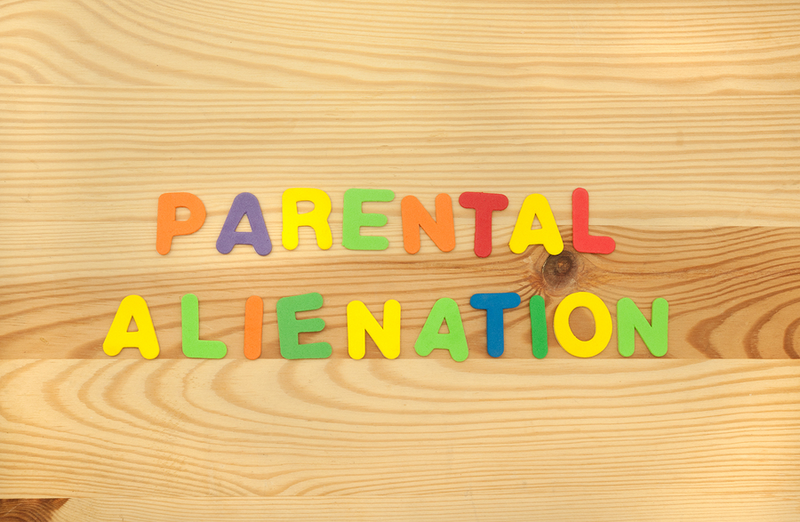 If the parental alienation is not kept in check by the adults, your child could develop other psychological problems issues, such as obsessive compulsive disorder and depression. OCD sometimes develops as a way of coping with his or her uncertainty of what is true and normal. Depression may set in if your child is alienated, not only from the other parent, but also from that's parent extended family. It can seem to your child as if half of his family has suddenly died. •Routines are important. Minimize disrupting the everyday schedule so your child knows what to expect from one day to the next. •Children thrive on predictability; do everything possible to keep visitations and household rituals consistent so your child knows what to expect. •Don't discuss legal matters in front of your child, and make every effort to keep heated discussions and conflict unseen by her or him. •Criticism, blame and negativity are best expressed with close friends or in private therapy sessions. •Make every effort to keep each parent meaningfully involved in your child's life. Change of any kind is hard. It can be hard work to develop new coping skills, especially during the divorce process. Provide steady reassurance to your child that both parents are committed to making the new family dynamic work and your family will get through this difficult time. Galbraith Family Law, a collaborative family and divorce law firm in Barrie, Ontario whose motto is "Resolving Family Conflict With Heart"